Firstly, the publisher created an app as a subscription offer for committed users. Although the organisation's content is free, the paid subscription of £5.99 a month gives users exclusive advantages such as live news and sport, and the ability to download news for offline use. However, the Guardian’s call for financial contribution from its readers is an experiment that has attracted a lot more attention. 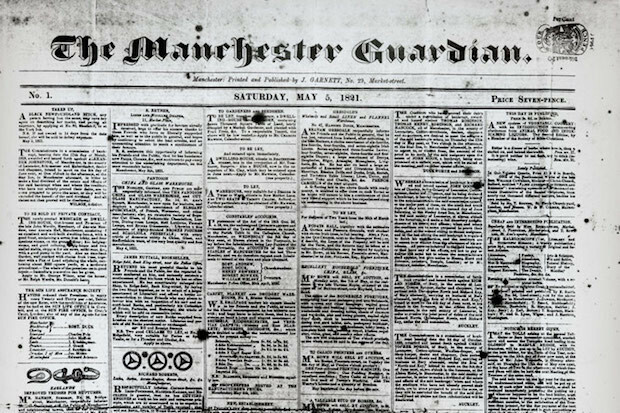 In November 2018, the Guardian announced that it had received financial support from more than one million readers around the world in the last three years, with more than 500,000 paying to support the publication on an ongoing basis. Readers are able to lend support to a series or reporting endeavour, or even support as part of a patron scheme, and some loyal readers have even left the publisher money in their will as 'legacy contributions'. He explained that there was some scepticism about asking people for money without giving anything back – not even a branded merchandise. 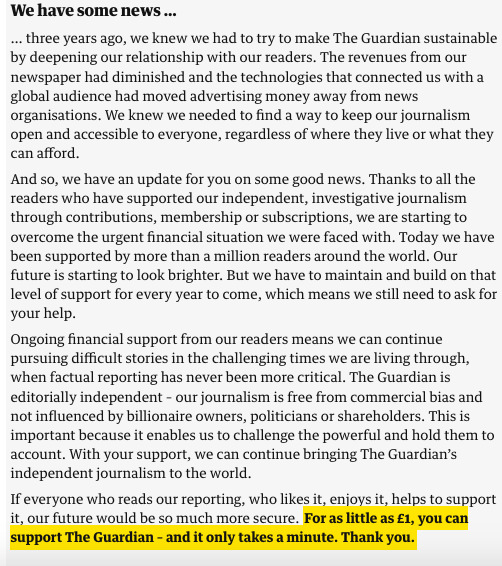 “However, we realised our readers are pretty special and they want to see the Guardian succeed. So when we ask them to contribute to what we are doing, they are keen to do that," he said. She explained the importance of making it easy for readers to contribute to the news outlet, and forming a team within the organisation to collaborate and test new models like this.